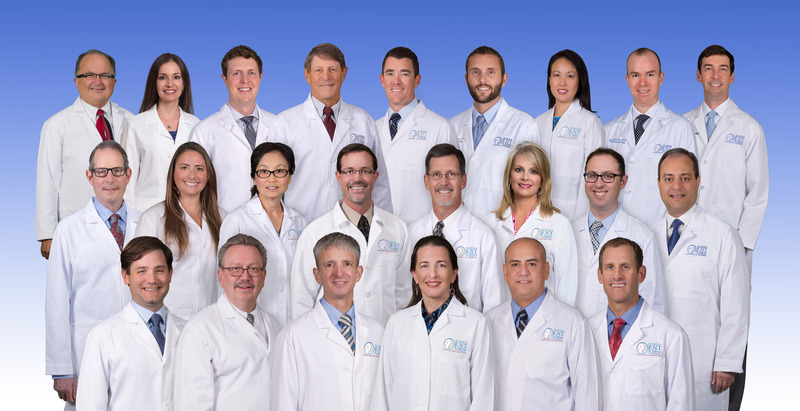 For over 40 years, the physicians of Florida E.N.T. & Allergy have been the most trusted resource for hearing aids in Tampa, while providing top-quality health solutions to families. Using a team approach to healthcare, our board-certified physicians and doctors of audiology collaborate to provide medically-driven hearing healthcare for every patient. Every day, we work ardently to improve our patient’s hearing by implementing the most cutting-edge solutions available, ranging from simple communication strategies to complex medical treatments. With these specialized treatments, we strive to ensure the needs of our patients are met, their expectations are exceeded, and their overall quality of life is vastly improved. Additionally, our determination to provide what is best for our patients is guided by our ongoing education of hearing health research. Since each patient’s hearing loss is individualized, it’s of the utmost importance to educate them on their situation and hearing loss needs. We strive to create an unparalleled, personalized experience for each patient that walks into our office. Common hearing aids include a microphone, amplifier, and speaker. Sound enters the ear normally, is received by the microphone and that sound is then amplified and sent to a speaker where the processed signal is output. This happens in a similar way to your favorite musician who sings into a microphone at a concert and everyone hears their voice on loudspeakers. 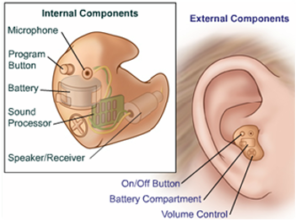 According to the National Institute on Deafness and Other Communication Disorders (NIDCD), hearing aids help those who have suffered hearing loss from damage or harm to the sensory cells in the inner ear, named hair cells. When these are damaged, this type of hearing loss is called sensorineural hearing loss. As you can see, there are many fits for hearing aids depending on the level of style, comfort, and potentially hearing loss you have. At Florida E.N.T. & Allergy, we strive to supply our patients with hearing aids that provide them with the perfect level of comfort, while working efficiently to greatly increase their hearing. Our team of doctors and physicians are dedicated to being the best provider of hearing aids in Tampa. To accurately evaluate your hearing loss, schedule a hearing test today with one of our Doctors of Audiology. Hearing aids you can control with your cell phone! It’s incredible how such a tiny piece of technology like hearing aids can be completely life-changing; and as technology continues to evolve, the function and development of hearing aids will as well. The answer is in the palm of your hand--your cell phone! With smartphones, you can turn your lights on and off, set your home alarm, and adjust your thermostat. So, why not have the ability to manage your smart hearing aid with your phone as well? With smart hearing aids, you can tell your hearing aids to notify you when your battery is low, the laundry is finished, or when someone's at the door--all with the help of your cell phone. With these smart hearing aids, it's all up to you. 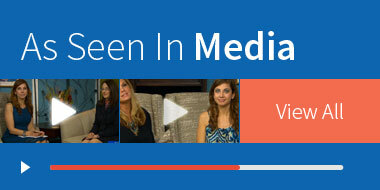 Ask our Tampa audiologists if this technology is right for you. As a Tampa hearing aid provider, we will be able to issue you the perfect hearing aid that meets all of your needs. Ask our Tampa audiologists if this technology is right for you. Interested in learning more about our Ear, Nose & Throat Services?